2018, Laserworld revised their Purelight Series so the show laser systems now come in an even smaller housing, with less weight and enhanced laser sources. All in all the new units offer a great white balance as well as high power for a low price. The new Purelight Series consists of laser lights with 6 W, 10 W and 20 W output power. All systems offer graphics capable scanning systems with 30 [email protected]°ILDA. The fast scanners make the laser displays ideal for many laser show application, especially where graphics, logos and animated images have to be projected. There is no air circulation within the optics section of the laser Purelight systems, so the maintenance effort is reduced to a minimum. 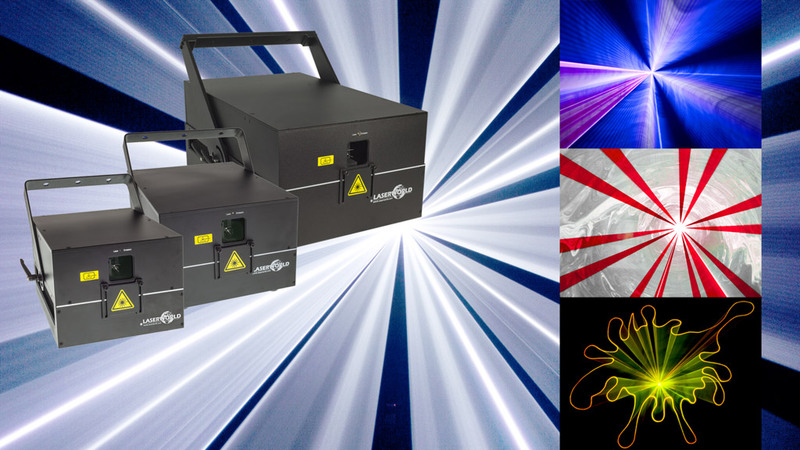 The Laserworld Purelight Series is designed for customers who demand high power yet low costs. The units are used in large nightclubs, festivals, outdoor stages and any kind of application that requires high power and a good white balance.